just wanted to give you heads up there is new producer of gaming mats in the street. Very durable material, rollable, nice designs. 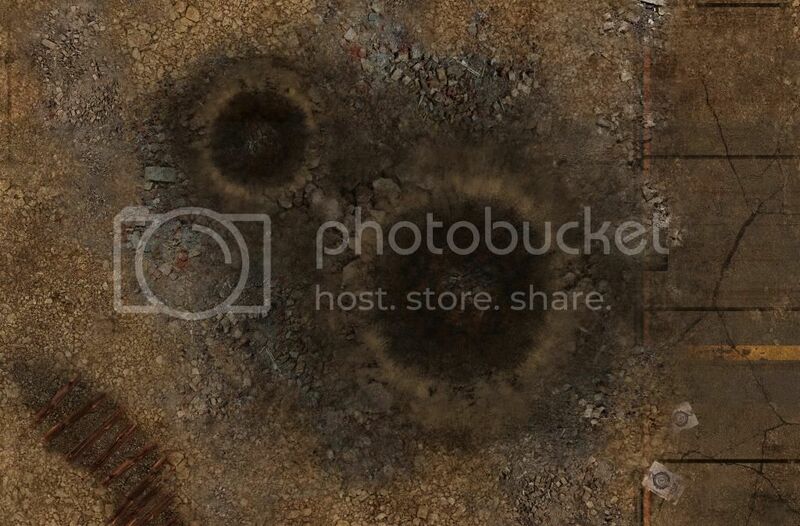 New 4x4' mat "Wastelands" is getting real. We are just curious if you would be interested in purchasing one in pre-order with 10% discount. We plan to set up full price at eur 44. Pre-order option soon to be added in our e-shop. Please leave a comment if you like so. Cheers! Nice. You'll get more attention in the main part of the forum than you will just in the WHFB area, though. Moving this to News & Rumours. You also have serious competition from Deep - cut studios whose 6' x4' mats are under £40, where with the exchange rate your 6' x4' come in at around £52 with a lot fewer designs to choose from as well. Do your mats have a logo printed on them? If so, where and how large? Looks like the same stuff Mantic use for their deluxe mats...? These are completely different of deep cut (deep cut is vinyl/pvc - more something photographers use as backround. Feels more like printed poster.). 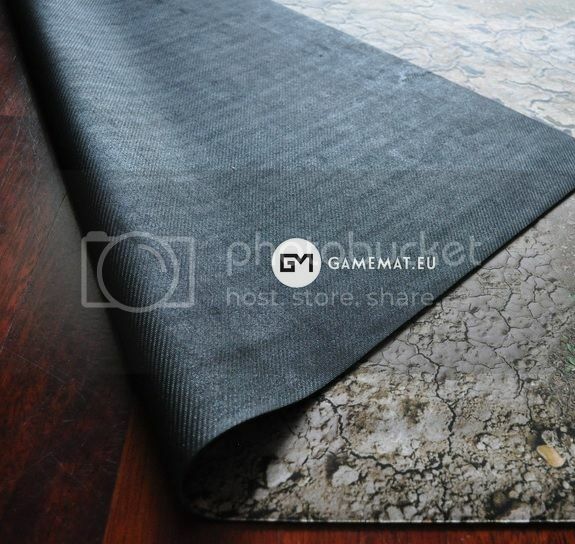 Gamemat.eu is a proper durable mat with rubber backing, anti slip, can be rolled and unrolled and there are no dents. its new standard in gaming mats I would say. Thickness is 2mm. Weight is around 3,5kgs. You can roll it and have couple of months in corner then unroll and play on flat mat! There is no logo printed on it. So it is like a mouse-pad/mouse mat meterial? What is the gaming surface layer made of? Could we see an extreme close-up of the mat and it's edge? Wow that looks pretty darn nice! These look nice, when do the 4x4 mats go onsale and do you plan 3x3 at any point? Also what is postage to the UK on one of these mats? 4x4 we plan to put on e-shop for pre-order with 10% discount in 2 weeks. With delivery of actual product in late July. So definitely will take some more time. and for 3pcs package - EUR 37. 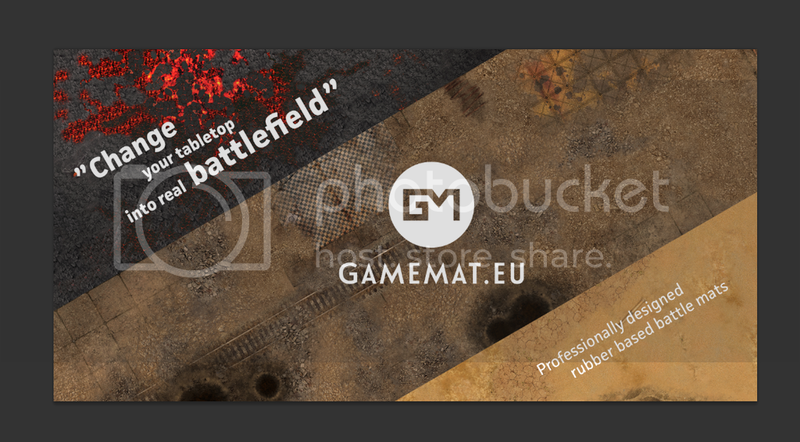 For more then 3 mats please contact me on gamemat.eu@gmail.com and we might settle some deal on price/shipment conditions. and for what game would be 3x3 suitable? that shipment reffers to 6x4' size. 4x4 could be bit cheaper. x-wing is played on 3x3 and 3x6 and needs a image of a starfield/asteroids/space! In both cases some people would be interested in 4x4 and 4x6 with the 3x3 and 3x6 area marked out. @Matous as Panic says 3x3 is suitable for X-Wing but also Malifaux and other skirmish based games. The postage is a bit rich for me though, Deep Cut offer it at half that price with every additional mat being free. It seems like postage companies are trying to cripple some businesses with their current prices. A 3'x3' "ocean" themed one would also be good for DeepWars/ShadowSea too...and any naval miniatures based game as well, I'd imagine. One mat is around 3,5kgs and size of box is 125cm in lenght..
Thx guys for 3x3 clarification! 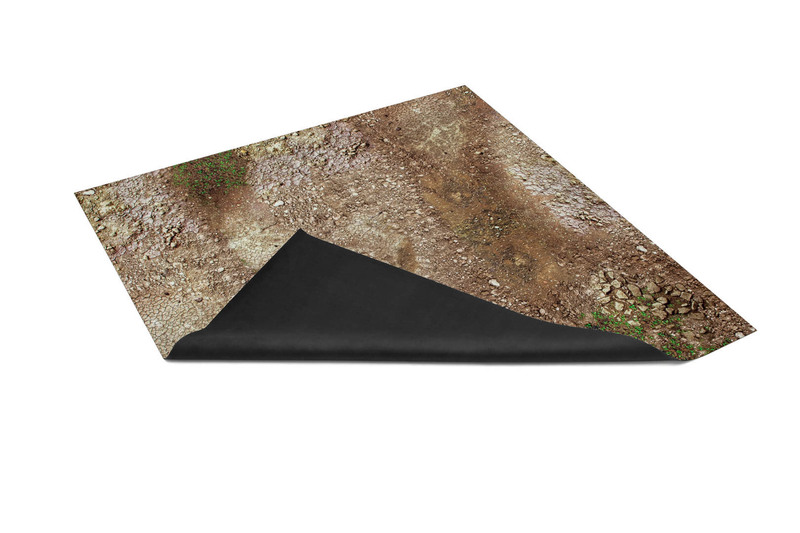 Gamemat is proper rubber mat, more durable material, antislip bottom. no dents after rolling etc. Ok, that picture actually swayed my opinion. Any chance of some video of the mat being examined? Thanks a lot! much appreciate! The rubber backing and no logo is great. It doesn't look like a lot of effort was put into the artwork, just some stock textures hastily thrown together without much regard for creating a natural look. Yours certainly does look like a superior product in most respects, it is just a shame that the length and weight of the package makes it cost prohibitive to buy from you. Again that is not totally your fault, but if you do start 3x3 mats and get a few more designs I will certainly consider a purchase. Also have you considered a UK/US supplier? Clearly a matter of individual opinion. I can assure you on mat design was spend tens of hours of designer work. We wanted to assure there is enough variability and not just plain areas of 2 colors as on competition mats. I must say I think repetitiveness is the last which defines our mats clearly I think most of owners did not mind that each piece of grass is not original. On a table it looks great. 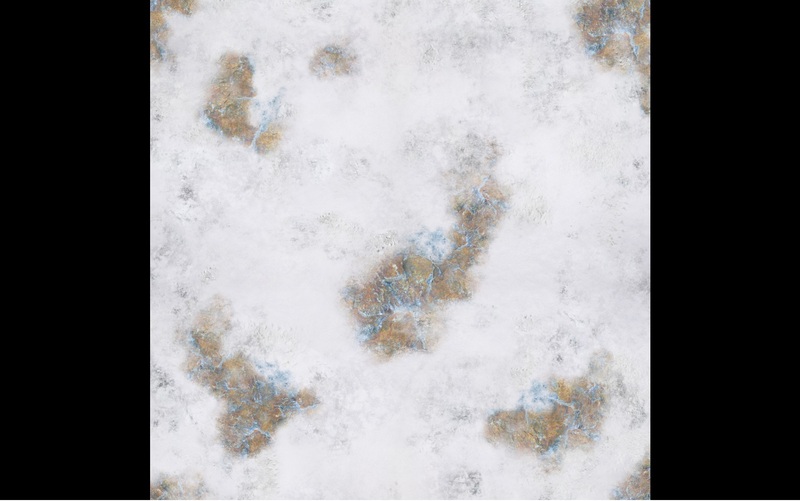 I honestly do not now any other gaming mat which has so variable design as battleground. Sure mainly UK and Germany retailers are so far interest. We are working out on some representations. But I still defend the point that such a gaming mat really hikes the aesthetic level of standard gaming table (carpet covered, or plain) and the cost even plus shipment is still less then buying GW modular tables or building own custom table (which is always top end in our hobby - but not everybody has the talent and the time to do so). We plan now 3 designs of 4x4 mats for preorders. 3x3 mats will probably follow. Damn, the battlefield one is brilliant. Yes, that is what I meant. If you could, that would be fantastic, and probably finalize my decision. thx. And isnt there plenty of space mats designs on market already? We proudly present that we become partners with WFB Polish Team Championship: Event happening in Warsaw on 23-24th August. I am really amazed to see our gaming mats on such a big event! This is the trailer from the organizators. Really nice one! We are live with 4x4' G-Mats pre-orders! Limited quantity only! Order now and save 10%. Price set at 39 EUR. Delivery end of July/start of August. Do not hesitate as we are looking for limited amount of pre-orders, when we reach that we kick on the production and set full price at 44 EUR. Available on our e-shop. Section 4x4. Just add to cart as usually! I would be all over this if shipping wasn't so bad (US). I understand why it costs as much as it does but unfortunately it prices me out of a purchase. Best of luck though as I can see a growing market for these. I can imagine! thats a big slowdown for us. I would love to for example arrrange some bundle package e.a 15-20 mats and send it to US for some gaming comunity/club. I mean when people will get the orders together within couple of days/week. Then I can surely work out some shipment conditions and even some deal price for all the mats. Think about that pls if you are in center of some gaming group. These look great. I've been blown away by my Deadzone mat and these look very similar, so I'm very tempted. On the other hand, a complaint/comment: you don't need to / shouldn't be charging VAT to customers outside the EU. http://europa.eu/youreurope/business/vat-customs/cross-border/index_en.htm. If you took away that 21% from the price it is a fair bit more palatable to overseas customers. I agree, I've never understood why I need to pay VAT when I don't live in the EU! We need to have a look into that. But generally as we are small company (sole proprietorship) We had to buy all services and production including VAT. So we cannot trade without VAT as we paid everything VAT including when producing our mats. Generally, at least the way that the similar GST works here in Australia, is that you can still reclaim VAT on the purchases you make for sales even if you sell them to non VAT countries. You need to zero-rate the VAT (ie, charge the customers 0% VAT but still add the $0.00 to the invoice). I'm not sure how difficult this is for you, but its a bit jarring to see that I'm explicitly being charged VAT when theoretically I'm not supposed to be. I agree, I see your point. But right now I cannot sell without VAT even to ex EU countries. I have basically now cost of rproduction X(including VAT) and Iam adding some margin. So I sell at price X+margin. I cannot deduct any VAT from X because no one will give it back to me. I already paid all the VAT when stocking all the mats in my ownership. In couple of months when we grow, we become EU registered VAT payer. Then I can purchase all production WITHOUT VAT. Then I am able to sell outside EU without VAT. Sure, why not? I guess it's a good thing there's not plenty of other 6x4 mats out there? What makes your 6x4 different to anyone else's? Does anyone else make 3x3 like that? just reminder, Pre-orders for 4x4 will be up just for next week. Then we start production. last 3 days, we close the books for -10% pre-orders on Friday!! I don't know of a single one on mouse-mat material readily available in Europe. There's the Frontline Gaming one, which will run you north of 100 EUR with shipping across the pond. The rest is thin PVC/Vinyl stuff. Design should be easy, as you can use actual Hubble Telescope images, etc.. for free I believe (double check though). 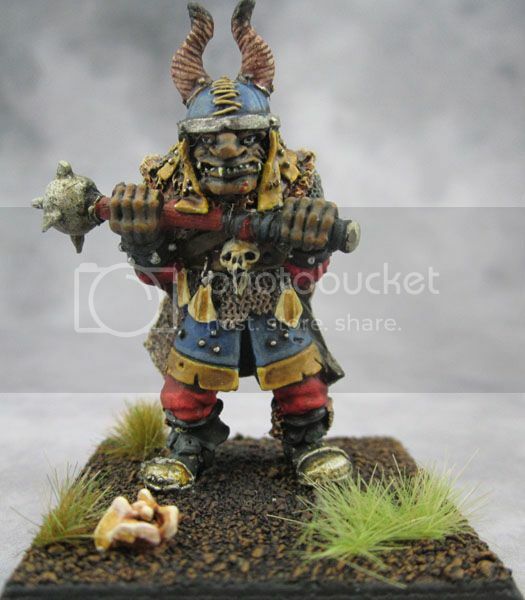 On a mat-like material, for 40 EUR or whatever these are costing, I'd kill for one. Thank you, Zwei, for making my point well. I was too pissed off at their attitude in their reply to do anything but respond in kind. If its like you say then its worth it. But dont people play usually 4x4 or 6x4? 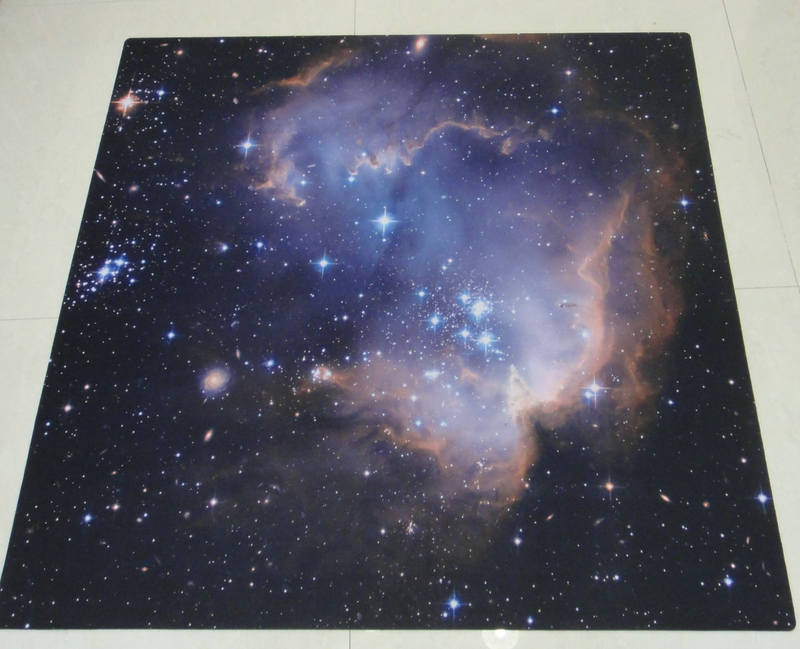 would you actuall pay for 3x3 or 4x4 space mat , priced at 39-44 EUR? I am going this route for my Malifaux mat, I guess you could use this company too? Costs about £45 for a 3x3 mat delivered. Hopefully there are similar Aussie based companies for Azazelx. The postage on these things tends to kill it for ordering from other countries. Have you tested these mats against foodstains yet? I bought a mat and just left it on a table at my FLGS to test durability. No food stains yet, but people generally know not to eat on top of them. I do see people regularly placing their drinks on it, no spills, but so far it hasn't left any water spots or rings. Right, we placed 8 of our mats to local gaming club as sponsorship and they are played on daily since end of April and there are no signs of being worn out or something..
WOW! Maestro of battle reports playing on our Meadows of War G-mat. Enjoy amazing batle! Can you do a dark eldar themed one? I am personally looking for adding some limited edition mats just limited amount and ideally for pre-orders only. What armies? If you mean 40k armies then I'm not interested there are more games systems other then GW and if you are only catering for 40k (as your mayhem map seems to suggest) then your losing potential customers. So far I'm only slightly intrested in your wasteland mat. Some ideas from the top of my head. These are just a few suggestions you could do. I want to give you my business but your designs leave a lot to be desired. You need to get some pre orders up, let people know what your working on as I have visited your page a few times and there seems to be no movement. A simple desert mat would be great. 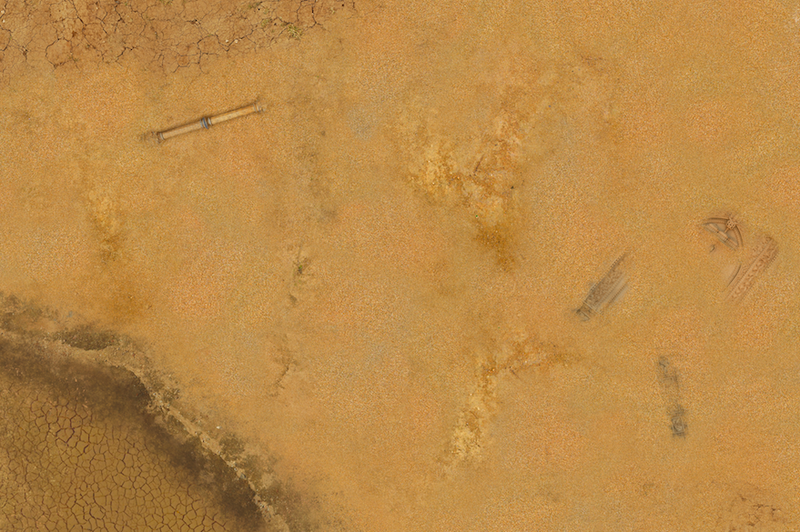 Not overtextured with dunes, rocks, dried riverbeds, just a simple bright uniform sand texture across the whole thing. There's a tendency to overdesign or over-clutter mat artwork, when instead, simple and uniform texture across the whole thing is all that's needed. Especially with sand or snow, you can just have the same texture across the whole thing and its job done for a realistic mat since individual sand grains or snow flakes are too small to have any 3d presence (this applies to grass too, to some extent, although you are less likely to come across a uniform field of short grass than you are a flat and smooth area of snow or sand). Extra detail comes from the terrain that is added on top, if you draw pictures of large rocks and things on the mat artwork, it can start to look odd, as it's 3d detail being represented in a 2d form. Honestly, the same applies to space mats, they all too often have a giant nebula plastered over them (usually the same one too, that hubble image that *everyone* uses), to match reality a simple starfield is for the best, with perhaps a galactic plane such as the view of the milky way from Earth if you do want some broader, gaseous detail. A lot of people mistake a lot of space images as being true-colour as well... they are not, they are formed by detecting wavelengths other than visible light. 40k or warhammer specific stuff = I can't use that mat for any of the other games I play, so it has no value to me. Diagonal roads with the above hexes everywhere else would be better still though. All his mats bar the chaos city one would fit anywhere. Grass and dirt is still just grass and dirt no matter the universe its set in. And even the Chaos city one it can be used as a genric city if you have a piece big enough to cover the star. It could look great, you are right. Aye, that one is very nice, except that again, it's not diagonal, so would look wrong for the standard arrangement of scenery in Infinity. It's just generally regarded as the best approach for terrain placement. Snipers are very powerful in Infinity, and if you want the two sides to occasionally do something more interesting than snipe at each other down long sniper lanes, it's good to at least start out with most of those sniper lanes diagonal rather than facing directly at the enemy. Just makes for a more fun and exciting game that way. It is quick and fun... you can play it in an hour or so. Haven't played a game of 40k and WFB in ages! I find the rules for them tiresome and bothersome! Though I agree it's different strokes for different folks and all that! The hardest thing I find about GW players (not all just some and most I've encountered in my area) is getting them to acknowledge there are other game systems out there and trying to get them to play a demo of a non GW game. You get looked at as though you belong in Arkham Asylum next to The Joker and co! Tommorrow starts Polish Team Championship and we are proud sponzor. Top players tables will be covered by our mats. Tables getting ready for tommorrow's WFB Polish Team Championship. We are pleased to cover top 10 tables with our mats. Love that last picture, looks like a load of ghosts are playing. So have you got anything new in the works? Wow these look great, and good price - I just ordered one. Hope you do well with these mats, I've been waiting for something like this for a while now. Thank you for support! Will dispatch today! New 6x4' mats in works. Hell on Earth! 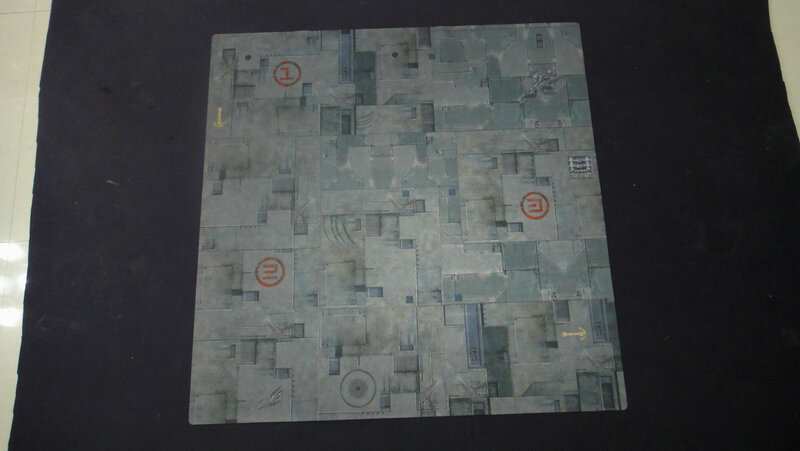 Any chance for soms 3x3 space mats as that would be The base size for xwing? Well its not that they're not good for it, it just saves a lot of time setting out the deployment zone (that and the table i play xwing on is 3 wide so i wouldnt have a half a foot of the mat sticking out on either side where the players sit). Our 4x4' mats will be part of Iron Moot 2014 Warmachine/Hordes tournament in Sweden. Has anyone else bought from these guys? I ordered a mat 6 weeks ago and I still don't have it. I'm wondering if my experience is typical for someone ordering in North America. Thanks. I ordered from them,took about 6 weeks to arrive in west virginia. Worth the wait their mats are beautiful. Also very good communication , had several conversations by email with matous. Got tracking info , be aware tracking number will lose your order after it leaves poland, mine then picked back up weeks later on usps site shortly before delivery. For all Infinity fans we had nice review on Data-Sphere. Author Errhile makes some cool test of our mat as extreme folding, cleaning spills or using high temperature. Really nicely written! I have been meaning to order a mat for a while now so will get round to doing it this month. I do very much like the look of these mats. Video review of our battle mats! New Snom Storm mat kills it!! Dear Wargamers! Wishing you all the best for 2015! Mainly great health and lots of love! Thank you all for your trust. 2014 was a great ride as since May you helped us get over 800 likes and get our mats among players all over the world. In 2015 we are planning many new designs. I may mention for 1Q it will be "Sands of Time" and "Fallout Zone". new battlemats available for pre-ordering now. Also all other designs will be re-stocked. All start shipping latest on 10th March. FYI as we are only small boutique type company all mats are iavailable in 100 pieces quantity. Next production batch might take another 3 months so make sure you order early if you like our mats. If you tint it in a darker red I can see Mechanicus players digging it, it works as it is unless you want to fight on Mars. There is a definite dunes feel to it. thx! Mechanicum Mars would have been good mat! we had one design ready just did not make it to production yet. Damn Would be amazing timing with new army coming out. I ordered the Tricity map and it arrived today. I LOVE it can't wait to play Necromunda on it. I just wondered how do you recommend to store the mats? I'm trying to think of a good way to keep it a.) safe and protected, b.) out of sight and tucked away. We will try one day for sure But we thought 6x3 is what people wanted? 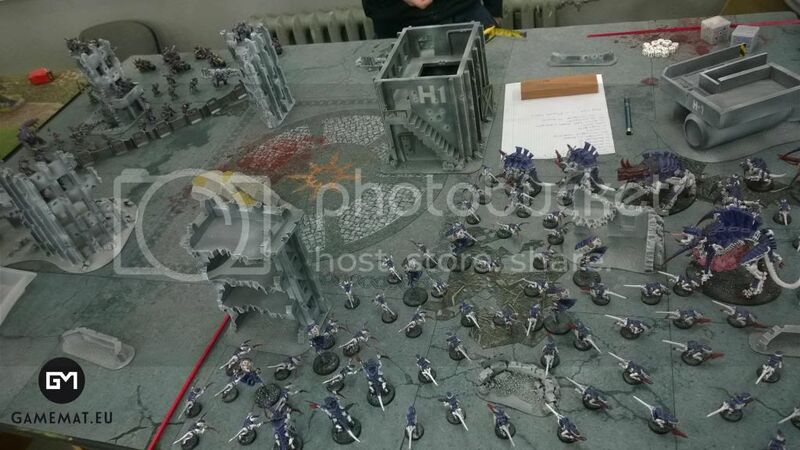 New Eldar Craftworlds battle report. Cool game! Can you beat them at all? Featuring Fallout Zone battle mat. Are the mats not supplied with a tube to store them in? I know with frontline mats you get a great little zipped bag to put them in. Hi, unfortunately no tube yet. Just carton box. Miniwargaming using our mats for new videos. Cant wait! Are there any plans to create 8 x 4 mats? If not how do two 4 x 4 mats look placed side by side as far as the gap/line between them? we need to think about that! Some 8X4 mats would be GREAT !!! Very nice looking gaming mats! Shipping to the US is kind of steep, but if I combined 2-3 mats in one order it might not be too bad. There's a few companies that make vinyl ones, but the only neoprene one I know of is the kickstarter-only one for Relic Knights. Otherwise I'm gonna have to spend the extra money for a 4x4 and have to cut it down myself. Not ideal. ETC PRAGUE 2015 - Gamemat.eu will be covering tables with mats. Whoa! Anyone heading ETC Prague? Name the mat and win! Email us name(s) for new mat coming in September and win. We will pick 3 best names and award free mat! Please can you add the link to your sig? How are you mats shipped? My other mouse mat style mats I have from two different companies come shipped in a zipped cloth bag, are yours shipped the same? Thanks, I'm interested in the tricity mat but don't want it stored in a cardboard tube. I'm pretty sure thats what he is talking about, but if you go into your account and edit your profile you can add that link into your signature line so it automatically pops up at the bottom of every one of your posts ( old and new). That way people interested in your products don't have to go back and look for the link to your web page because it will be right there in your post. Looks pretty good, I'd definitely be interested. However, I live in Norway, ie. outside of the EU, so I'd have to pay local VAT. I see you have an ex. VAT export option, but it isn't available to non-EU European countries. Any chance this'll change eventually? 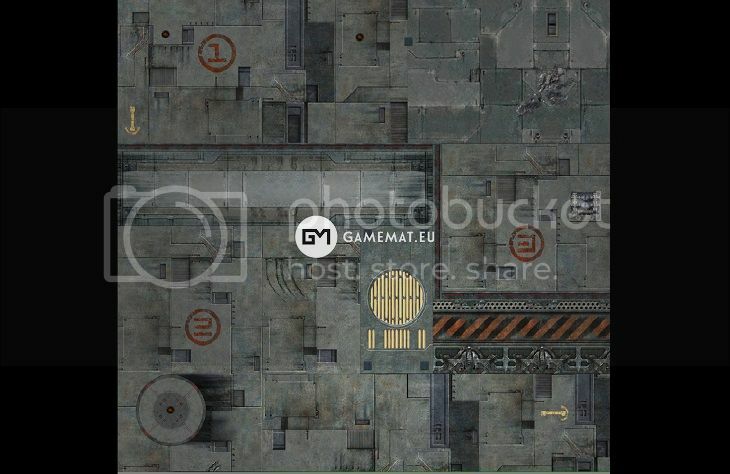 Any more closeups of the wasteland mat up for preorder? I'm seriously considering the 3x3 but looking for something more grey than red, and it's a little hard to tell from the closeup pics. I like the mats but man are they expensive to ship to the US. overtyrant Mats are shipped in carton box or hard tube. We do not have cloth bags. Maybe in couple of months. Working always on new solutions. Okapi Our European shipping agent charges too much for customs duty confirmation that our package goes to ex-EU country - roughly the same as you would save on VAT. We will try to work on that and improve. On the other hand FedEx airmail is superior service which makes the export confirmation for free, thus overseas destinations are easily made without VAT. RiTidesWill email you asap. Generally it is smaller version of 4x4 Wastelands. If I missed someone please let me know, I apologize Hope answers help. 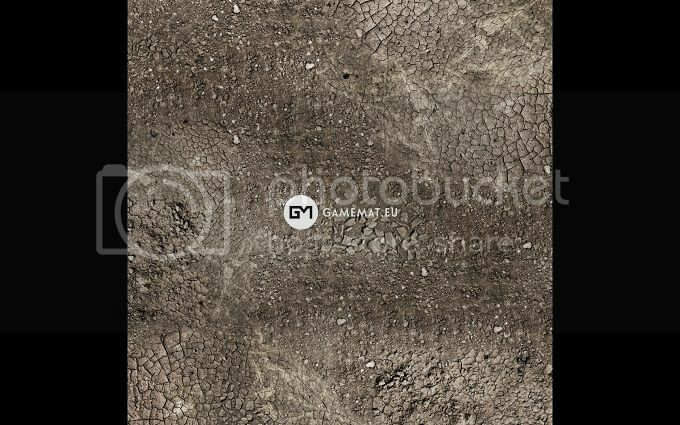 Matous communicated extremely quickly over email (gamemat.eu AT gmail DOT com) and I've preordered the 3x3 Wasteland! Planning to use it as part of a display base. 3x3 mats great idea for display bases! Thank you very much for such feedback! Any chance of a 6x4 space mat? without all the spaceships of course. You are right! That looks cool! Let us know on here when you ship your mats in a zipped bag and I'll become an eager customer. Any chance of a partially snow-covered medieval city mat, for Frostgrave? 4x4, mostly flagstones with some snow, would be perfect. Great idea, marked. 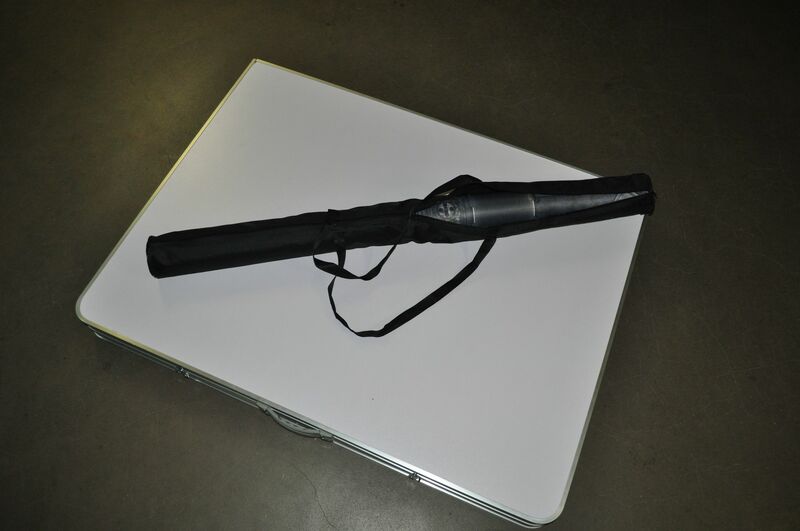 We will run bunch of new 4x4 mats in couple of weeks. But planned are: Sands, Lava and Scifi-City. So will try to add snowed medieval. I second Ian's request. We desperately need some Frostgrave mats on the market! It's a cool idea, though. Also if you play a 3 or more player game, you have room to grow. And if you play other games (Warmachine etc...) you can get double duty out of the same mat. 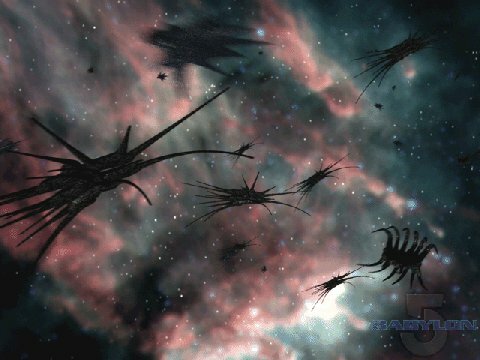 I will be in the market for a few different types, nebula etc as the scenes in babylon 5 space combats, which avoided the 'just black starfields' with different subtle colors. Rather than large planets or moons, as these then look very strange if you also have actual models of planets and moons as obstacles. This is a great idea, and would be perfect for the upcoming dropfleet commander game. What would be nice is some larger mats split into smaller sections. I.e a 8` x 4` mat split into two 4` x 4` sections. That way if your playing a small game you can just use half or for big games pull out the full thing. Quarantine Zone finally in stock. All pre-orders dispatched. We apologize for delay! They now sell tube storage containers, I've recently got 4' ones for my 6x4 mats. Have the wasteland preorders shipped (I'm one of them)? I have a shipping notice from FedEx, woot! Should arrive next week. Yes all is shipped. Lats today. Was really crazy wek. I apologize very much for delay! That's pretty neat. Would it be possible to know the width of the roads on the mat please? Only chance to get -10% discount on our mats - pre-order now from http://www.gamemat.eu/page/home/ as we unfortunately for us (luckily for you) sold out most of our mats and we are waiting till re-stock till 1st January. Ah, brilliant - well done gamemat crew! I absolutely love my Wasteland mat that I got from you, and with the VAT being excluded for US customers (automatically now with the new site!) it's actually really affordable and in line with buying mats domestically. Smal point, but UK VAT is 20%? But I think the VAT is 21% where Gamemat is based. Gamemat.eu proud to announce own range of terrain. ready-to-play (assembled, painted). Starting with Gothic Ruins set. Still WIP: This is center piece( 30x20cm base, 25cm height) Set will be made of 9 pieces of various size. Nice! What's the price point likely to be on those? will reveal pricing and pre-order details next week. We are just finishing some more photos and details. Wargame terrain set by Gamemat.eu. 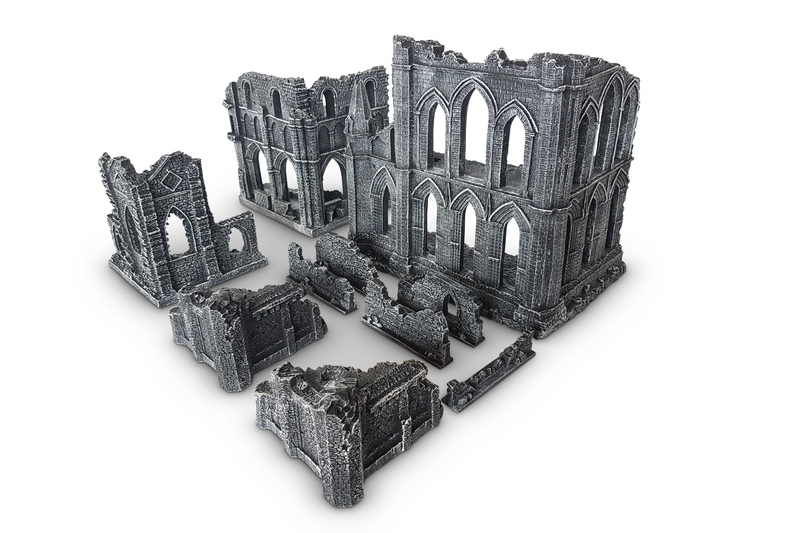 Full set contains 9 pieces of fully painted, ready to play highly detailed ruins! Pre-orders are live with -15% discount. Each 4 weeks discount will be reduced by 5% to reach full price at time of shipping. Dispatch time set to 20th April. damn those Ruins are sick, could even be used for Bolt Action. I like the mats as well -- I'll find your website and take a look. SmogCon 2016 batlle mats by Gamemat.eu. Great venue would love to host such tournament in Prague once! What game is being played in these pic's? Because that does not seem like a whole lot of terrain. What game is being played in these pic's? Because that is not a whole lot of terrain. Understandable given how many games are obviously being played at once, but I agree its no where near enough terrain for WMH or any other game. Those mats do look really nice, though! Depends if they are playing steamroller. No terrain in the deployment zone for steamroller and I've noticed a tendency with Warmahordes that a terrain base will be placed down and it may be a forest or a hill. 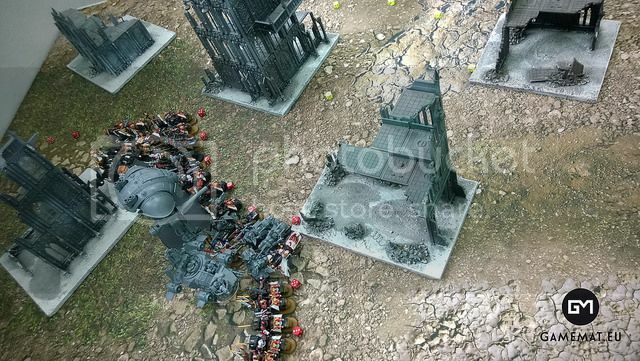 Though if it is steamroller I don't notice any objective/flag markers or scoring zones (unless player's have to bring there own, but then again some terrain elements have to be set a min distance from scoring zones). Its a pity, I am not fan of 2D terrain. And that right there is a big reason why I don't play Warmachine lol. Nice to see your beautiful mats put to good use. As the person who runs this show, I respectfully disagree. 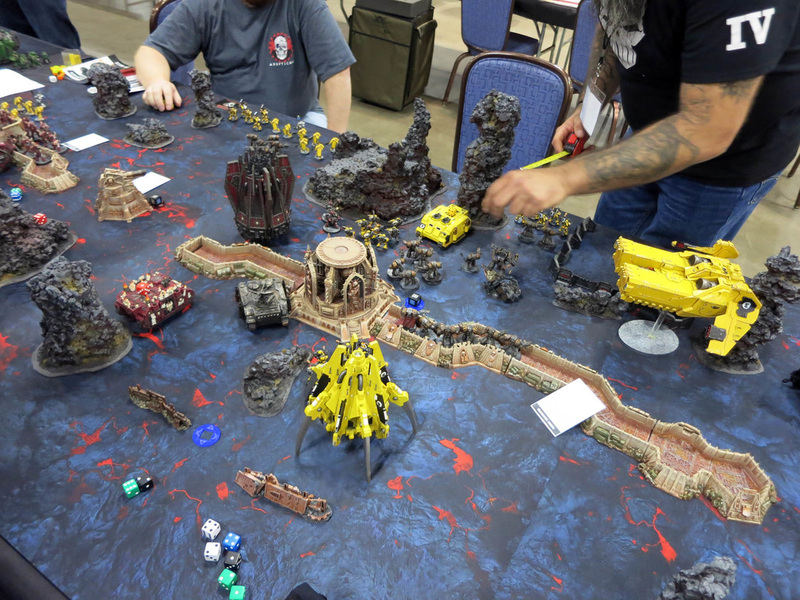 We had 8 pieces of Steamroller compliant scenery, consistently themed with Matous' mats across all our comp space. SR suggest 5-8 pieces, and they are intentionally smaller than "standard" warhammer style scenery as to play WM on that stuff is a pretty miserable experience. Between the mats and the scenery I invested about £10k into the kit this year, and I genuinely think you will struggle to find much better on the WM scene as a whole. I don't know of many other events that can do this volume of scenery at this scale (450 players, 140 comp tables and around 100 casual tables). You can play Warmachine on stunning, scenery heavy tables, much like you see in the books, but it genuinely doesn't work for competitive games, which is a large part of the WM scene. 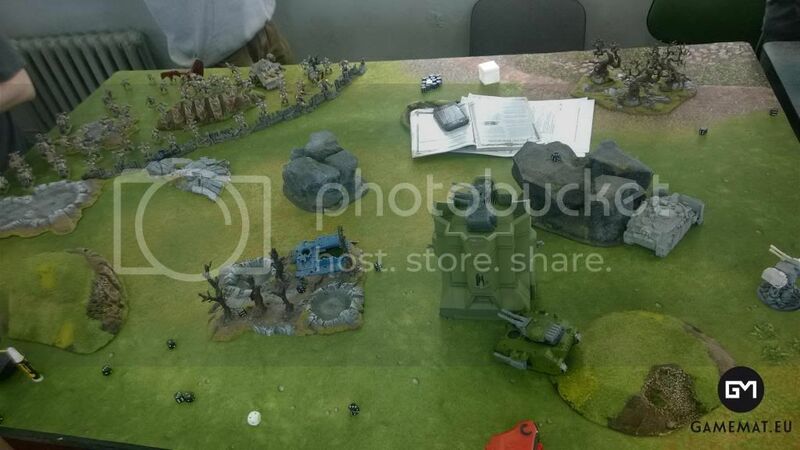 No scenery can be places in the deployment zones (7" and 10" either side) and there are further restrictions about what can be placed where depending on the scenario being played (eg rocks,walls and water cannot be placed too close to the flags/zones that are being fought over). So that limits options further. WM is a very different ballgame to GW games. These shots were taken Thursday night before the even started, so the scenery isn't fully placed either as I leave that to the judges who run the comp events for me over the weekend. 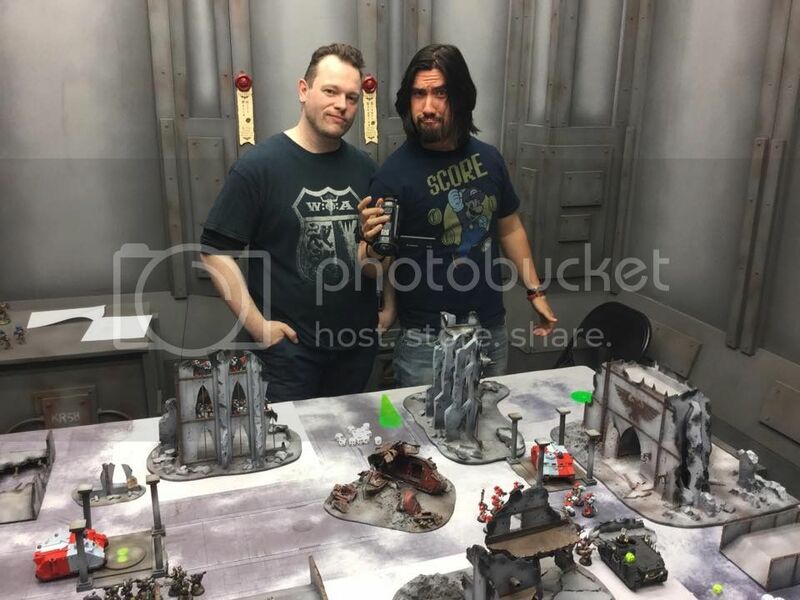 The scenery is all cast and painted by Solid Ground Studios, a company run by a fellow Warmachine player who put a lot of thought into creating nice 3D scenery with a low enough profile for models to not fall over or have issues being placed upon. I decided not to put the trees out on the forests as they inevitably get removed from the table straight away and never replaced, so its unnecessary effort and tidying up for no real gain. Since I am not a Warmachine player I stand corrected. I will change my remark to something more in line with what I meant. I do appreciate that a WM table can look bare (part of that is caused by the low profile scenery really taking over in the PP comp scene), and I do agree its a far cry from my Warhammer tables of my youth, but they are just different kettles of fish. You can as mentioned play WM on some really nice setups, but for the cut and thrust of top end comp, it creates more trouble than its worth and I would get complaints (I got some ire this year about the hills, even though they are as 2D as its possible to make 3D hills without them being completely flat). 2D scenery is becoming king in some parts of the WM world, for better or worse. I'm a washed up tourney player these days who is happy panting his models and running this event, so I don't have as much of a horse in the race as some, but I have to respond to the feelings of the guys and gals who travel for these events. I was waiting for some hab units / containers for an alien archaeological dig themed 40k board & these look perfect. I would love that in mouse pad material but may bite the bullet on that regardless of material. Hope you can reduce or reposition that parting line on the crate either needs to be less pronounced or easier to clean up. 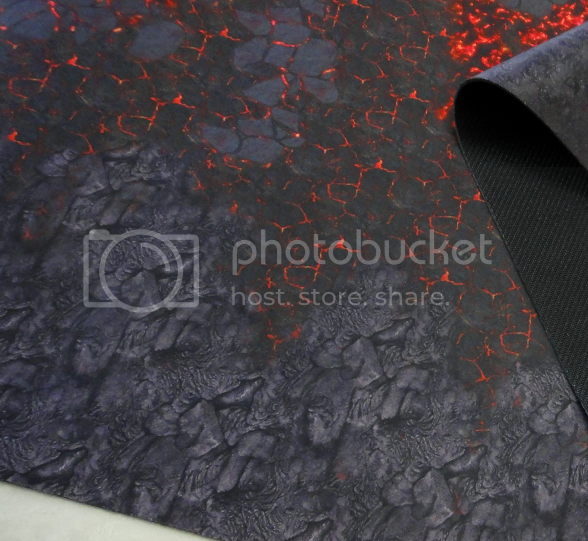 Hi, all our mats are mousepad material! Any chance this mat will be in 4x4? Would love it for Infinity. Forges of Mars battle mat by Yohann Schepacz (concept art for Deus Ex and Rise of The Tomb Raider e.a) is here as limited edition (1500 copies worldwide). We celebrate our 2nd year at the market! Thanks all for support! Thanks so much for the pics! I was very impressed with your mats. thanks for feedback and details! always great to get to know more of a picture! Forges of Mars battle mat finally in stock! 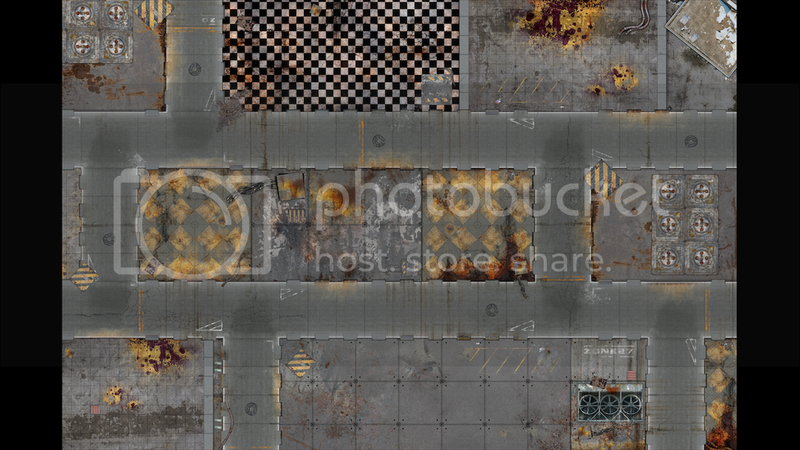 Our new scenery set: Industrial. Comes in both versions: pre-painted and not painted. How you like it? Looks good. Do you have any pics with miniatures for scale comparison? Click on the link to their site and you'll see a gallery with some Scions and a Taurox for size comparison pics. Your website does not work for me on my phone, PC at work, or Laptop at home. I would like some info on pricing for 3x3 mats, 4s4 mats, and 4x6 mats in USD. Does the site work now? Are you able to ship your tables to the US yet? Is it intentional folding boards are 12 units minimum? Guess that means it's meant only for like gaming club? Hi, tables are now for pre-orders - the 12 minimum was a glitch. Apologies. To us we work on that still need some time. 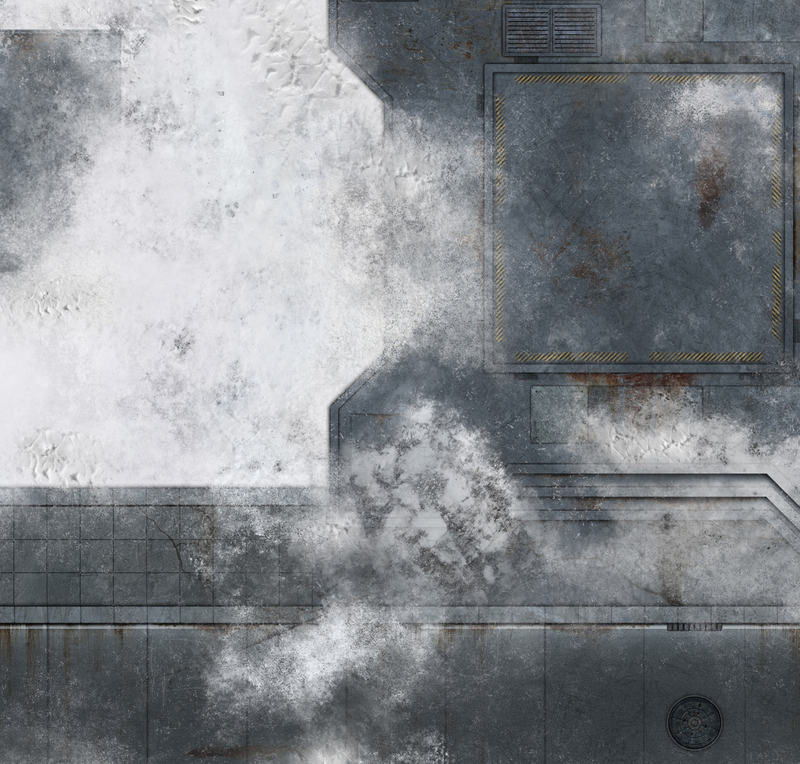 2 new mats for pre-orders: Deathworld Forge by Kory Hubbell - Halo 5 concept artist! our new signature edition mats! Terrain is pre-painted, assembled. Ready to play from a box. 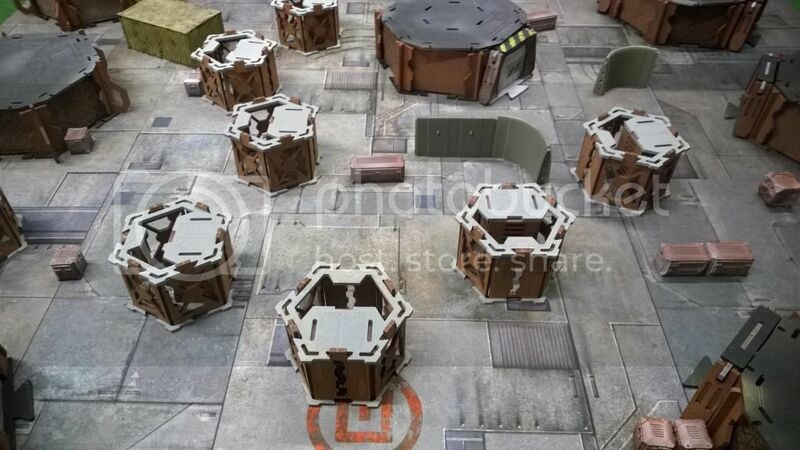 Any chance you will be doing some orbital 4x4 mats for Dropfleet Commander? we can try - it needs to be lower orbit? Cannot fit our 4x4 Space1 mat? Depp space? 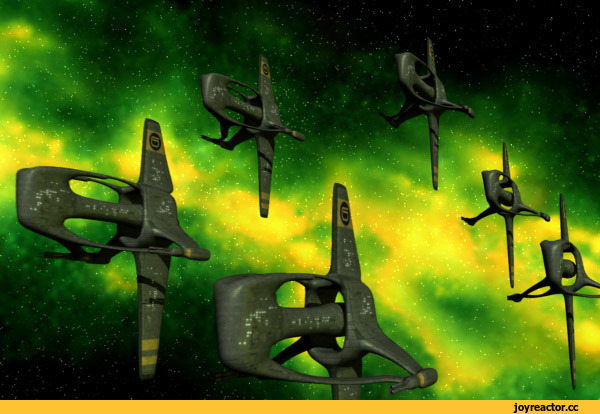 The game is predominantly based around a fleet opposing another fleet attempting to invade their planet (the fleets have to reach zones/icons for dropping off ground troops etc.) so it really does need to be low orbit. There are a few scenarios based around satellites and space stations, but the majority are planet-assaults...so the low orbit would be ideal. I "think" they're mostly 4'x4' mats/scenarios but I'm not entirely sure. My rulebook should be on the way. They are 4x4. You can use 4x6 also, but that's for big games. 4x4 is standard. Here is a image so you see what we are talking about. This is how far up it should be. Mousepad material also would be preferred. 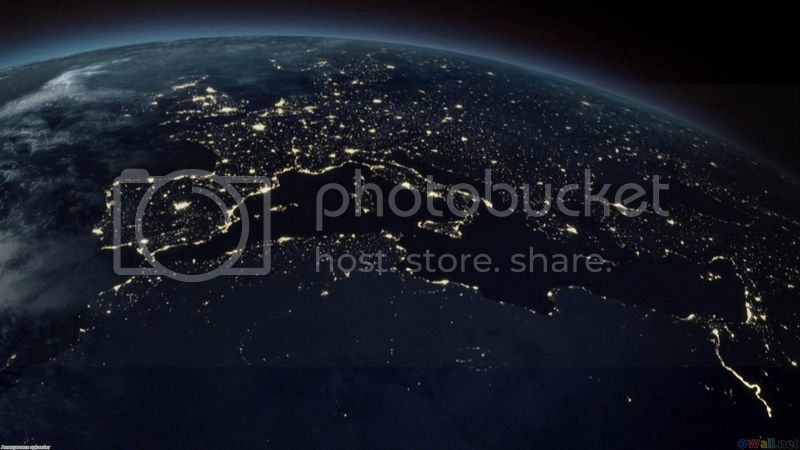 And if you guy get creative, alien worlds would be cool to see To many images of the earth, need more alien planets. Thanks a lot! We will have a look at it! How wide are the roads here and how wide the building foundations? 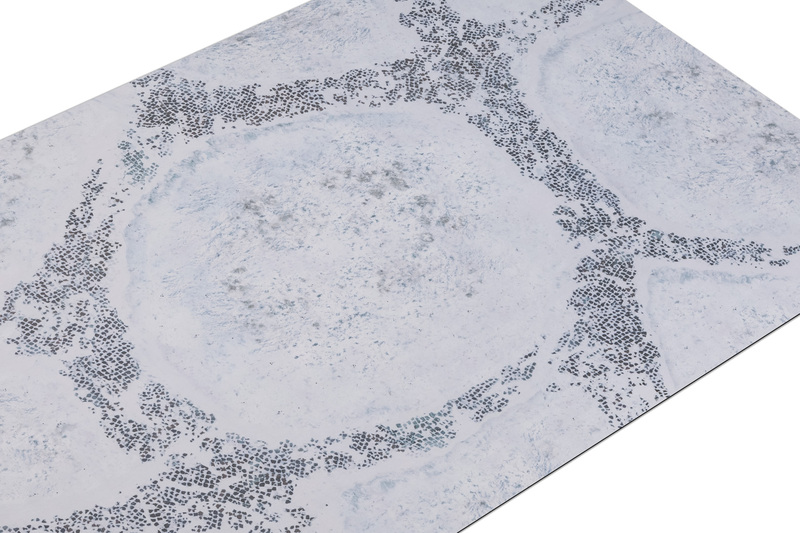 3'x3' mousepad Guild Ball mats by Gamemat.eu are here! DOUBLE SIDED BATTLEMAT IS HERE! https://www.gamemat.eu/ 2 in 1 on mousepad material. Pre-orders with 23rd August shipping. Checkout the video for more details. Double sided mats are a great idea! Hoping for some 3x3 versions. Looks great, but next time, shoot the videos in landscape, not portrait! There will be pre-orders up on side by the end of the week. Mat will be ready end of August. Terrain mid September. We hope you like that! We feel this is most narrative seetting we created so far! Big realease from us! https://www.gamemat.eu/ is here. Medieval town battle mat and 2 terrain sets together creating epic setting! Are they pre-painted? Because the webstore description makes it sound like they are. yes its painted as on pictures. What a great use https://www.gamemat.eu/ of pre-painted resin terrain and battle mat by https://www.snbattlereports.com/! I have plenty of high quality mats but the one I am missing, the design I have only seen for $69 from Cigar Box... Is a beachhead map for 28mm. 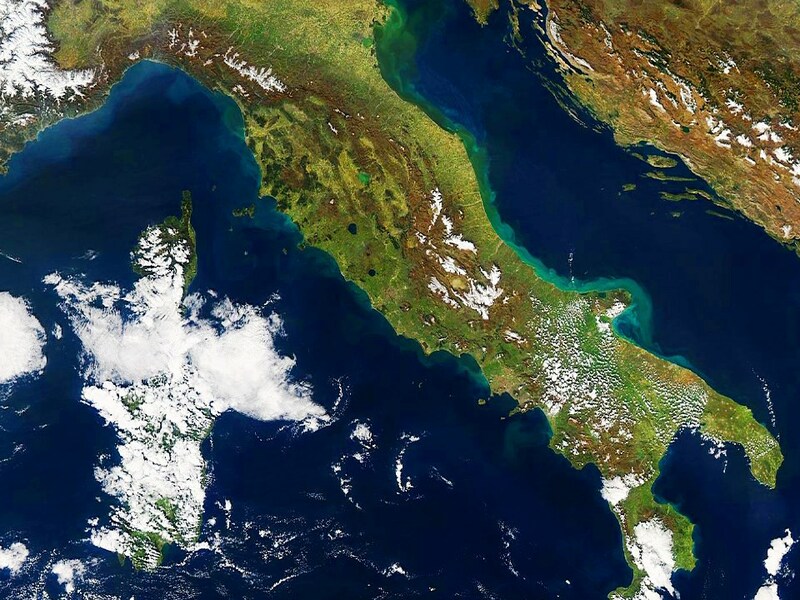 What the map would need to depict is some ocean with breakers, sandy beach area, and then some rocks smoothing out to green for forested or other terrain. Make it happen and I am in. Tok --- there is a company who sells a mat with that similar layout you're speaking of. Boy, I wish that was a thing back when I bought my city mat. I’d really go for a double sided version of the desert map with something else on the other side. 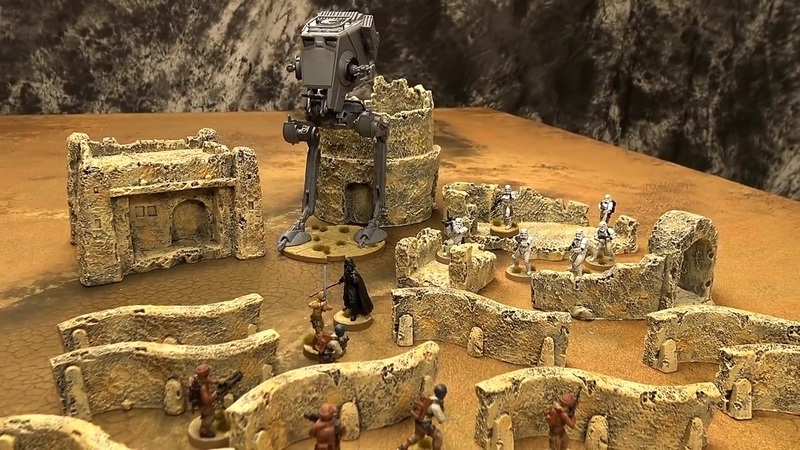 Yeah my models have desert bases so always on the lookout for stuff that would go with Zandri Dust but without looking too plain and the gothic ruins can work equally well with a medieval fantasy game though my dining table is 9x3 limiting choices. New HOT stuff GAMEMAT.eu 2018 preview!! We would like to thank you all for great 2017! Your trust as customers allowed us to create many new products for games we love. We are having lot of fun and excitement going forward to 2018. We are sharing a bit what can be expected early 2018. And much more in works. Thank you! Checkout https://www.gamemat.eu/ and FB page https://www.facebook.com/Gamemat.eu/ for upcoming releases details. Hi all! Opening early pre-orders for Chem-Zone walls system – huge set of 60 pieces of pre-painted resin walls which fit perfectly your Underhive boards or Chem-Zone battle mat! Zone Mortalis games would benefit too! Battle mat Chem-Zone by https://www.gamemat.eu/ ready for a game! Now in stock! Wow, that is a BEAUTIFUL mat! Perfect for Necromunda as well. Yeah I wants me a 4x4 of that one. I have one in 4' x 4' size. Pardon the dim lighting. And here it is with some terrain on it. Ok... just ordered that 4x4, plus another 4x4, and then 3 6x4's, including two double-sided maps. Second order will go through later. Seems the Badlands terrain set has changed in its content. I'm guessing the mushroom shapes turned out too hard to cast in a one-sided mold. That's not been a problem around here. Maybe your own group needs to try harder? 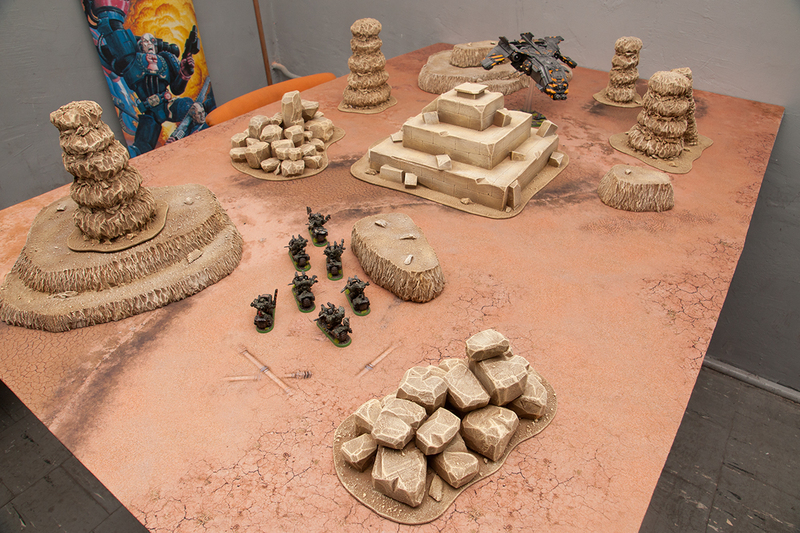 Yep, that's a superb looking mat/terrain combo. The added fish-tank rocks really flesh it out. Now THAT is a table! Well I just bought that mat and the badlands terrain (and two other mats and the highlands terrain), so we'll see how it goes. Some great looking tables at that tournament. Excited to see the new terrain set. Also just got my first order from you guys, so I did a little review over in the general forum. What a cool take on the original GW card buildings for 40K. And I'm starting to like the "small rocks/pebbles around your terrain to make it blend into the table" idea. 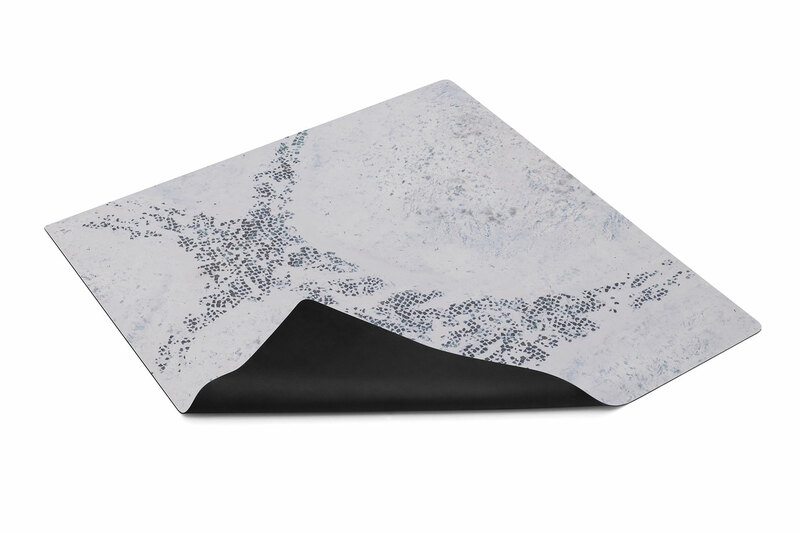 Matches greatly our Sands of Time neoprene battle mat. Check out https://www.gamemat.eu/ for full range of products. We ship worldwide and you can shop in USD, EUR or GBP! 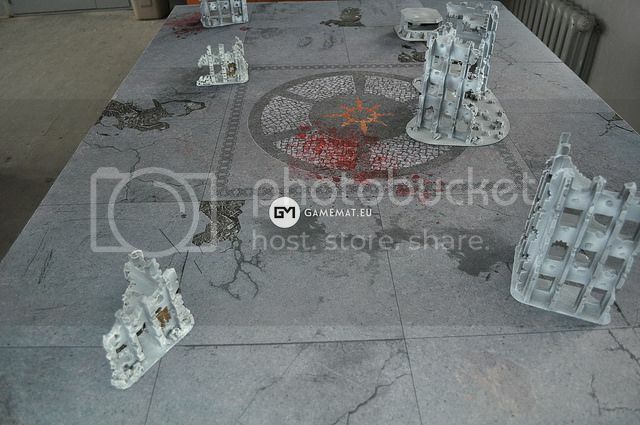 board with https://www.gamemat.eu/ Chem-Zone walls and battle mat and Industrial terrain set and Gothic Temple terrain. Boarder dispute scenario: Gothic Temple was a Chaos Cults relic. And the Factory was a Escher one. Having the terrain available in smaller sets is a good move, though you could easily split them even further. I also have to wonder how much having these prepainted increases the price. I'd be much more interested in somewhat cheaper terrain sets that I can paint myself. Playing around with mats and new terrains! Creating three kill zones as loosely connected areas Game on weekend! 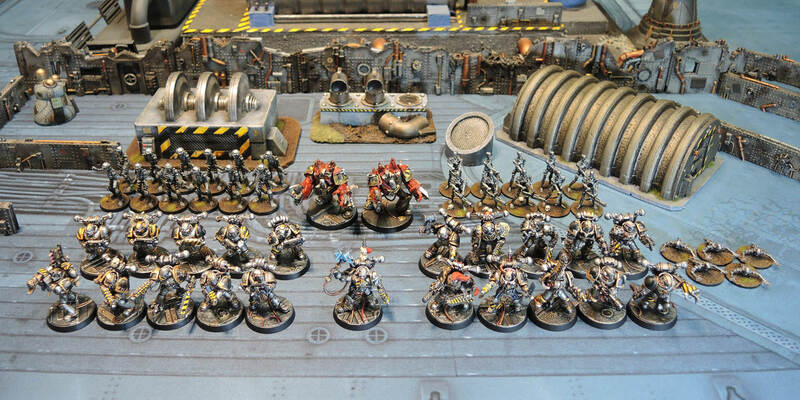 Any plans for Kill Team sized mats?